Takes you from Egypt, over the Serengeti Plain, to Stanleyville, and vice versa. Something to note: they only allow 3 adults per car. The cars have a weight restriction, so the limit each car to 3 adults. You can have a max of 4 people per car, including children. 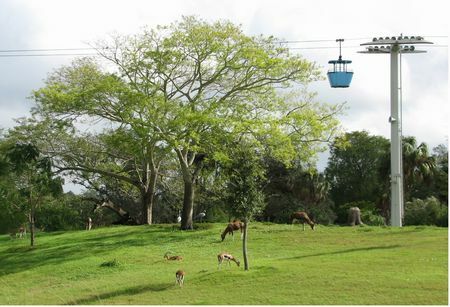 The Skyride has re-opened after the construction of Cheetah Hunt but remains closed during "slow" days.